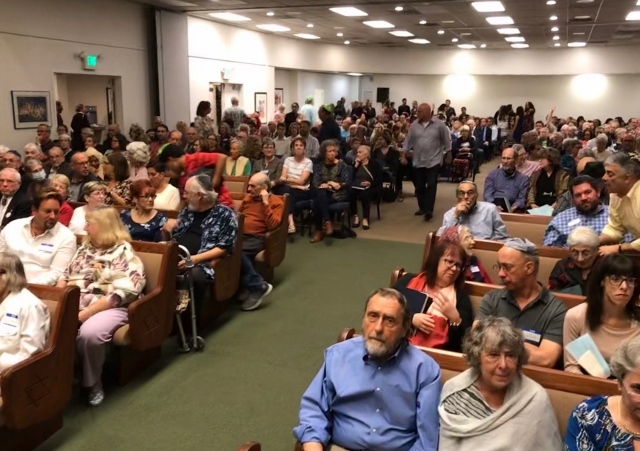 An interfaith service at a synagogue in Pomona a week after the Pittsburgh murders drew several hundred people, including yours truly. I went out of curiosity as a member of the community but also brought a notebook. The service was really interesting, and even though a few days have gone by, I decided to write it up for Wednesday’s column anyway. Hey, it beats yet another election story, right?